I had such a great morning with these adorable sisters! 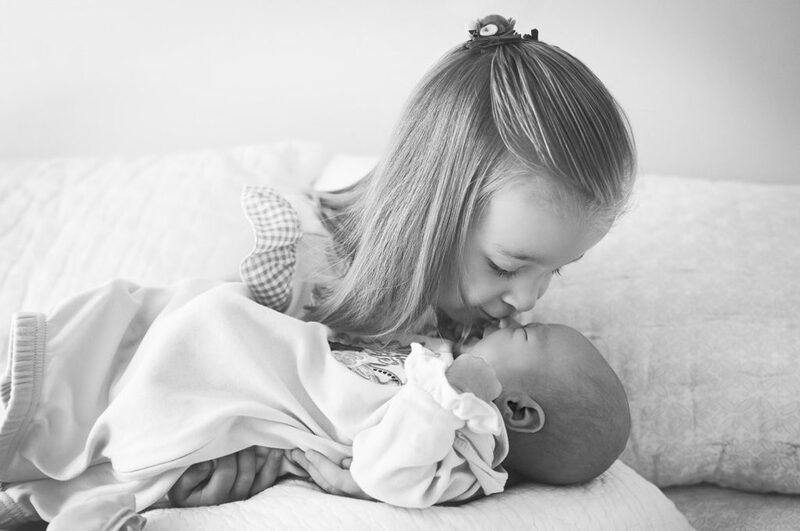 Having a new baby in your house is a world-changing kind of event for a little one, but this big sis handled it beautifully. 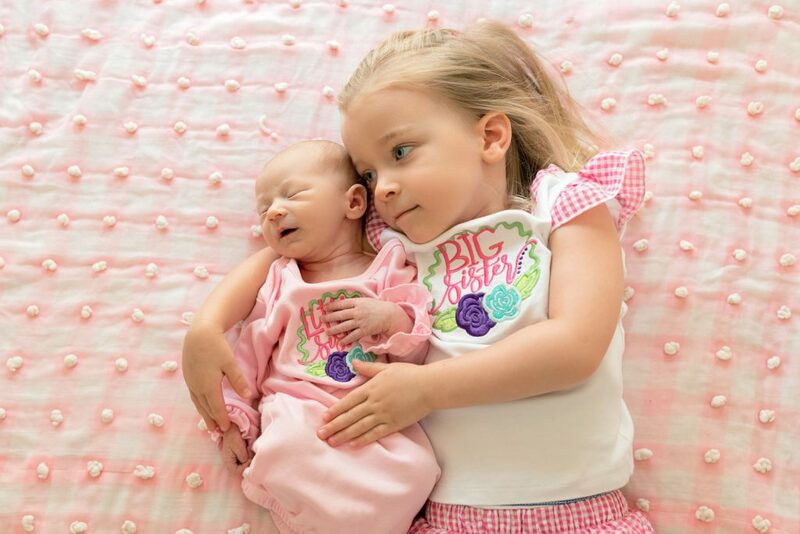 I just love the way she held her little sister with such pride – and that baby yawn – I have no words!!! Having a workflow is super important when you photograph newborns, and I love starting out with sibling shots right off the bat. This lets the older child know how important they are and that you’re there to photograph them first and foremost. And let’s face it- they need that confidence boost when there’s so much attention going to a new baby! 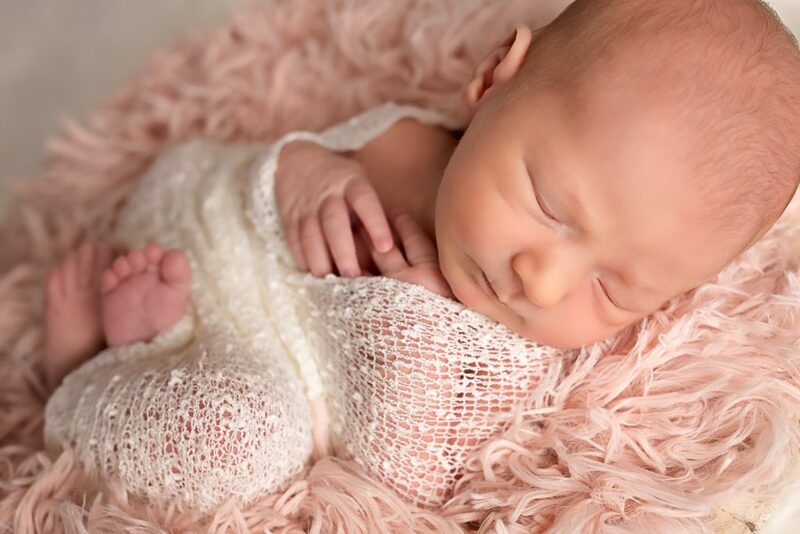 We had beautiful light on the summer morning when we did this newborn session. 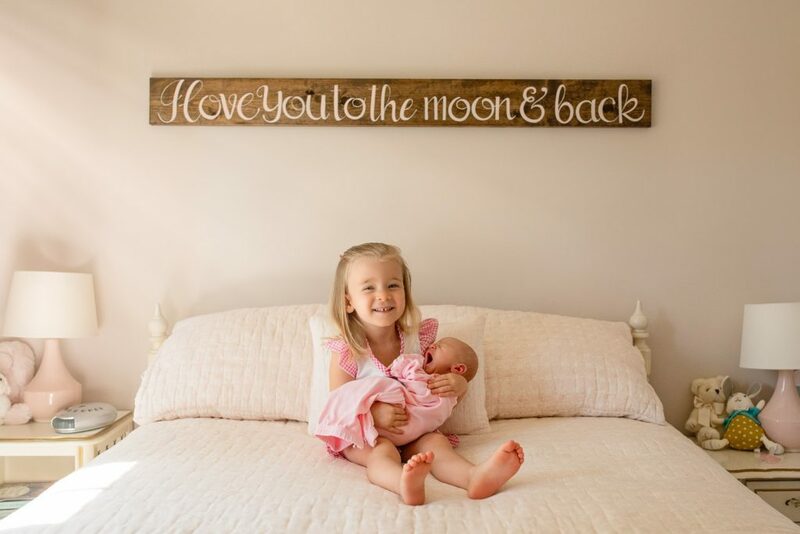 Baby sister was easy-peasy and slept through most of our session and big sis was able to pose and then get right back to playing! 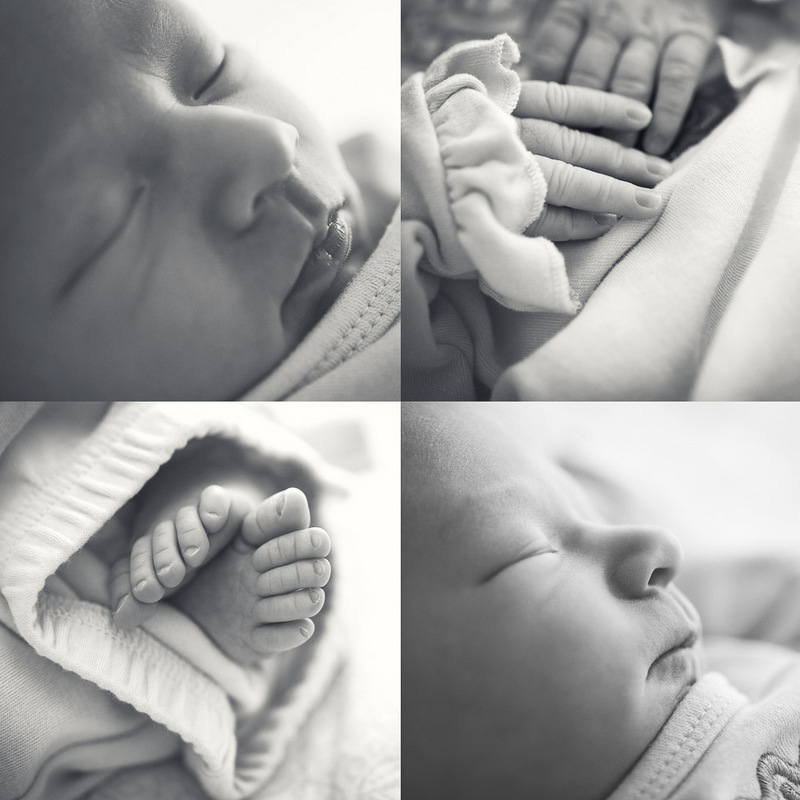 One of my absolute favorite things to do at newborn sessions is to pull out my macro lens and capture the up close details of the little one like these right here. In my opinion, these are the details that change SO quickly that they are just impossible to remember without looking back at a photograph. 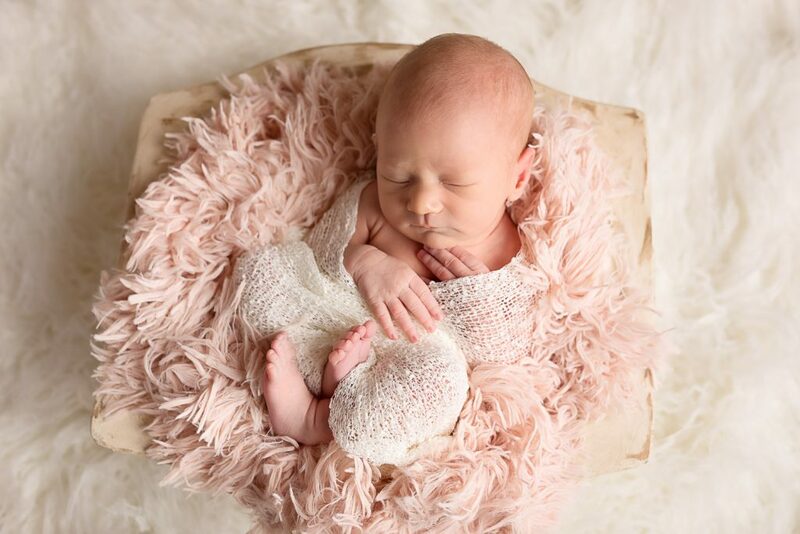 Ashley McBroom is an Atlanta area photographer, specializing in newborn photography, family photography, children, and teens. 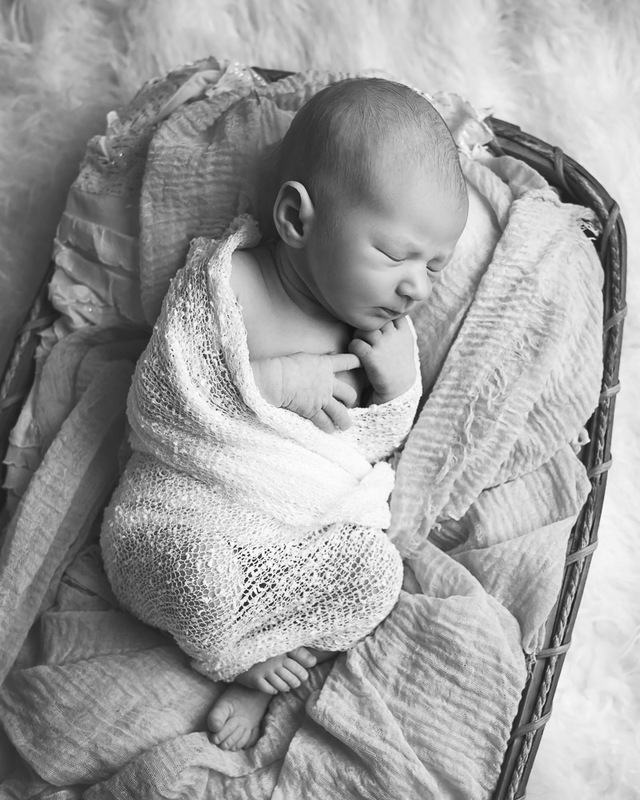 She offers Atlanta maternity photography sessions, along with family and newborn sessions. She specializes in artistic, emotive imagery and lives with her husband and two little boys in the north metro suburbs. 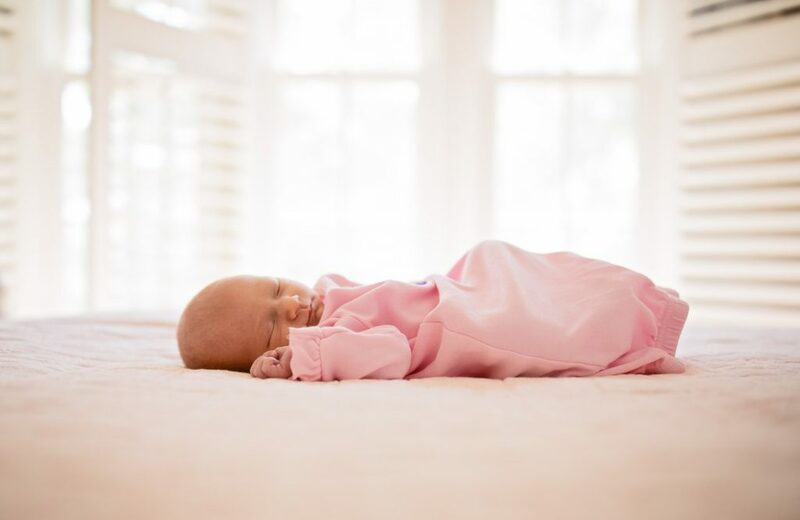 She regularly photographs little babies all around Atlanta, including but not limited to: Sandy Springs newborn photography, East Cobb newborn photography, Roswell newborn photography, Buckhead newborn photography, Midtown newborn photography, Grant Park newborn photography, Inman Park newborn photography, Alpharetta newborn photography, and more! To book a session please send her a message here!